We understand that a few Wheatbelt schools may have received news of the awards belatedly. In the interests of a fair go and remembering that this is about celebrating those who champion reading, we’ve extended the nomination date to 25 May 2018. See full details of the awards process below. You have until 25 May to nominate your Teacher Champion! Do it now! Here are all three Swim posters (Bruce Rock, Narembeen and Quairading). The Swim is on Soon! 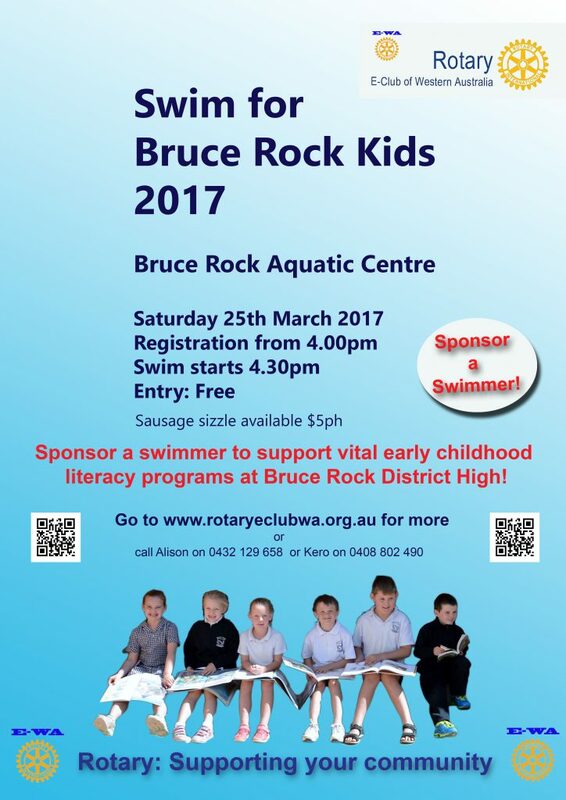 The Rotary Bruce Rock Swim is less than three weeks away, and we’re busily fundraising for the event! 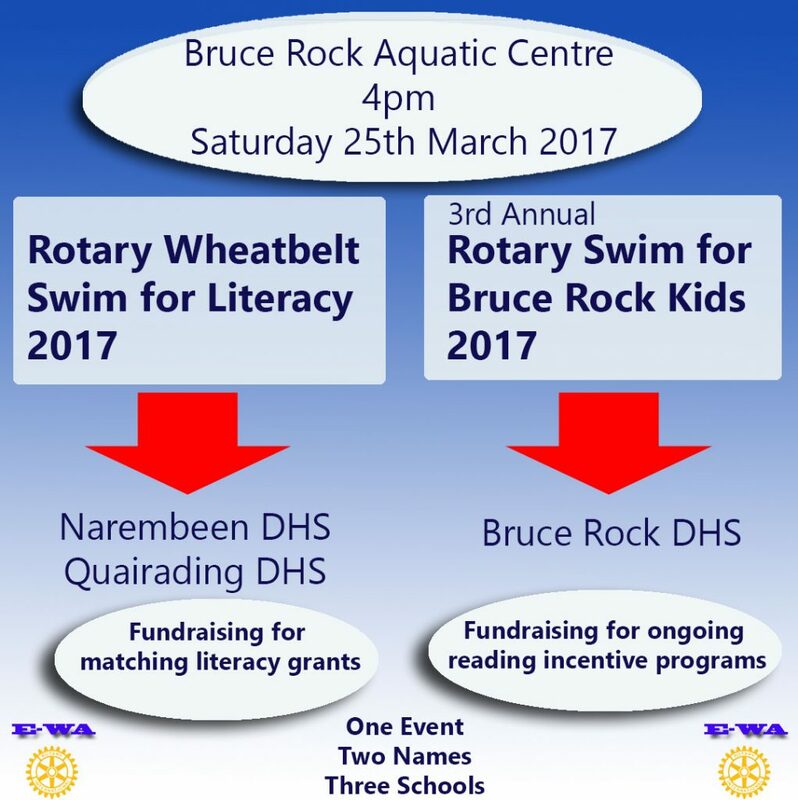 The Swim proceeds will go to vital literacy development programs at Bruce Rock District High School, and earn matching literacy grants for Narembeen and Quairading District High Schools. We have three important fundraising channels for the 2017 Swim. Our Rotary Club Members are Leading the Way with Donations! Our Rotary Club parks cars at the Perth Makers Market to raise funds for charitable and community projects across Western Australia and internationally. 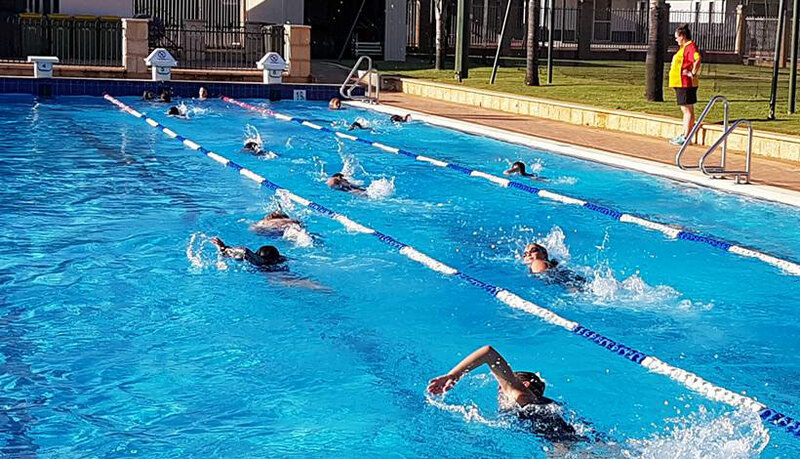 The members have decided to dedicate a portion of these funds to top up the generous contribution made to Bruce Rock Swim fundraising by our charity, The Rotary Foundation. These member-generated funds will flow to all three schools participating in the Swim. 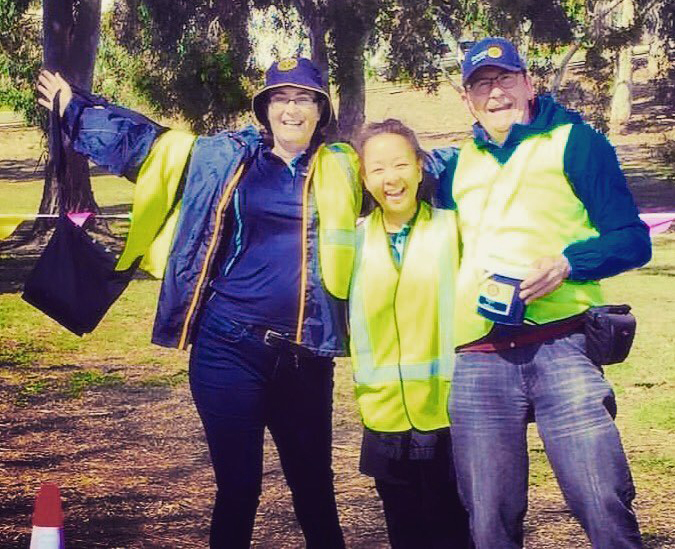 Having fun while parking cars – Members Kate, Sandra & Kero. 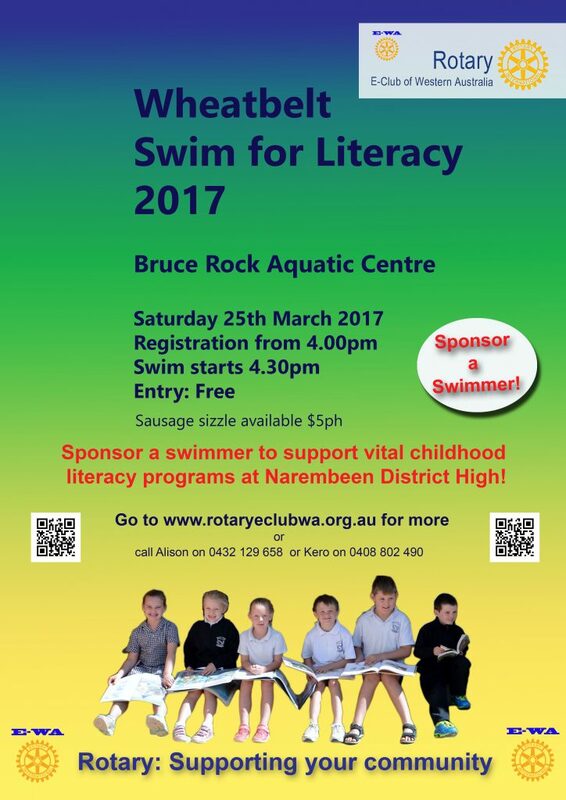 You may have seen the swim posters and associated offline sponsorship forms being used by supporters of each participating school. These sponsorship forms are school-specific and funds raised via a particular form will go to the credit of the school named on that form. Our Online Fundraising via Chuffed.org is Flying! In addition to these forms, we’re operating a dedicated account on Chuffed.org to give the Swim the best possible chance to connect with potential supporters anywhere in the world. Chuffed is a very convenient and quick way to contribute, with special digital “thank you” items to those who donate more than $10. 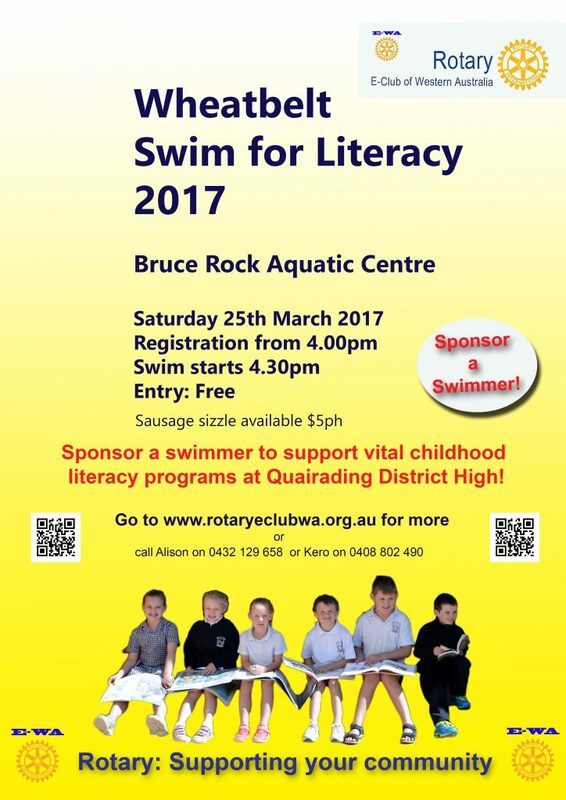 The great news so far is that our account on Chuffed.org has received donations of more than $300 in support of the Swim and associated literacy projects.